Hunter's Friend is located in the "Foothills" of the Appalachian Mountains in Eastern Kentucky. In an area so beautiful you would have to see it to believe it. However, there are some small downsides to living here in these awesome hills. One downside being that our area is, well, its a bit in the middle of no where, or "BFE" as the kids call it these days. Now I do have to admit, considering the fact we are so remote as a "downside" is debatable. This is because a lot of us really enjoy being tucked back in these valleys so far away from it all, myself included. But I digress. Being so remote we do not get many visitors out here at the shop, but we really do enjoy when people decide to drop in on us, especially if they have a something awesome, like a brand new bow, for us to play with. As it so happens a few days back someone decided to do just that. His name is Heath Painter and he is the owner of Tribe Archery, or as he put it, "Redneck Operator" of Tribe Archery. Heath came out to the shop this past Thursday to hang out for a little while but he also came with something interesting for us to tinker with. He brought with him the brand new Kinetic 2 by Tribe Archery AND he brought it for us to test out here at the shop. Which for us translates to, we are going to shoot this sweet new bow all day and call it working. As a matter of fact, he had two bows. One was a 70# Max Kinetic 2 and it was still a prototype (that's right, we got to shoot a bow so new it was still labeled a prototype and had " test bow" written on the box in Sharpie) it was a very exciting thought. Looking closer at the prototype K2 we saw that its cams were still UN polished but the bow still looked pretty awesome. For the most part the bow was finished and just needed to be dipped and shined up. He also had a finished (not a prototype) 60# Max version of the K2 and it was sporting the new Treezyn Camo. This was my first time seeing the Treezyn Camo and I have to admit that I love it. 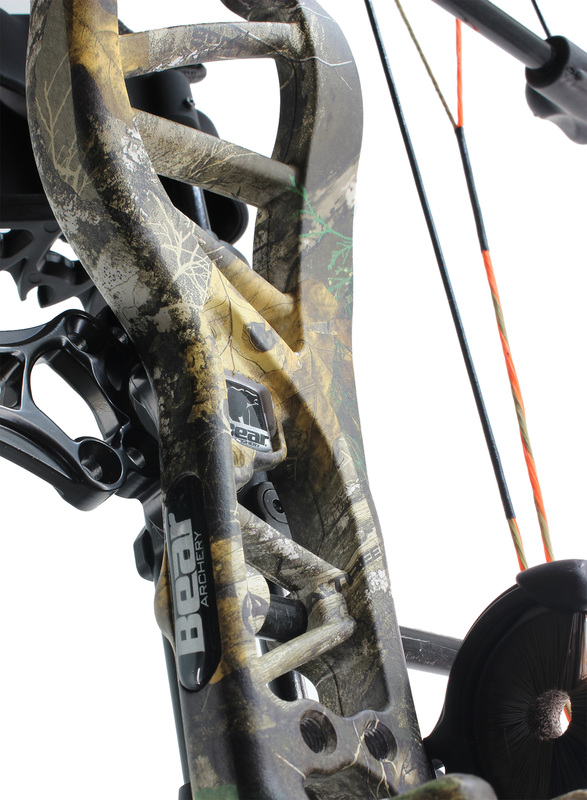 Check out the picture below of the Treezyn camo on the K2. In my opinion it is one of the best looking and coolest camo patterns I have seen in a very long time so be sure to check it out. It is sort of a blend between a traditional camo (like APG?) and Kryptic Highlander. After we eye balled it and talked with with Heath for a while, we decided to hit up our shooting tunnel and try these things out. Our production manager took the first few shots with the prototype K2. He cracked a smile right away so we all knew it must shoot pretty nice. We let Nick (one of our techs) have the honors of paper tuning it, which was very easy by the way, he shot once through the paper, made a small adjustment to the rest, shot again and it was perfect. After that it was open season on those bows for us. We all took turns shooting them and to be blunt we were all very impressed with the results. The Kinetic 2 draws great, it has a great back wall and valley. It is quite (even when we shot in our wooden shooting tunnel and tuning room (which is like shooting in a giant acoustic guitar) and perhaps most impressive of all is that the Kinetic 2 actually met its IBO speeds. <="" it="" do="" one="" see="" actually="" we="" often="" very="" not="" is="" but="" conditions="" amo="" the="" under="" speeds="" high="" promises="" bow="" single=""> AMO conditions would be as follows. The bow will be maxed out on both draw length and draw weight, nothing on the string at all (not even a peep sight) and its shot with an arrow that is the bare minimum weight for the maxed out specs. Here is some context. In almost 9 years of me working here at Hunter's Friend I can only name a handful of bows that have actually shot their advertised IBO speeds without any other BS. I am talking legit shot its speed with none of that "Now That's What I Call a Manufacturer's Excuse Vol 12- the remix" featuring such hits as "oh well" and "you just need to twist this cable and that screw" and featuring the world famous hit "you are holding your tongue wrong, hold it like this while standing on one foot and try again" then it will shoot as fast as what we said it would, kind of stuff. The K2 just shot its speed without a problem, and like I said, that just doesn't happen too often. We all had a great time shooting it inside so we decided to pack it up and head outside to play with it some more. Once we got outside the bow was very quiet, especially without the wooden walls of the shop echoing every little vibration. We passed the bows around another time or two and headed back up to the shop. Heath was great company. He let us play with the bows and we ended up dropping an unexpected interview video in his lap after he got here, but he was happy to do it and we appreciate that. We managed to catch that interview and a lot of the fun we had testing out the K2 on film so be sure to check out the video.. I have to say that at the end of the day we were all pretty excited about this one. Not just the bow but for Tribe Archery in general. Its really cool to see newer companies come out swinging with a bow like this. Everyone else will have their hands full keeping up with these guys this year. We had an awesome time testing out the new K2 and we are very impressed with it. One of my favorite things about the K2 was as Heath said in the video "Tribe is a veteran owned company and the bows are made right here in the US". In my opinion, that is something to be very proud of! We want to thank Heath Painter for coming out to the shop and we would also like to thank everyone over at Tribe Archery for building such great bows, keep up the good work guys. As I am finishing up this article I am left with one final thought . 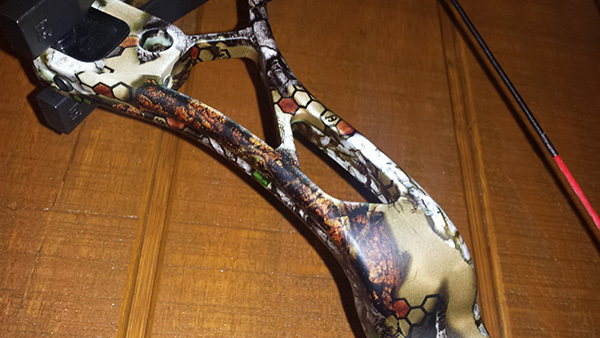 Now that I have had a chance to shoot the K2, I feel like I can safely say that this bow will do very well this year. 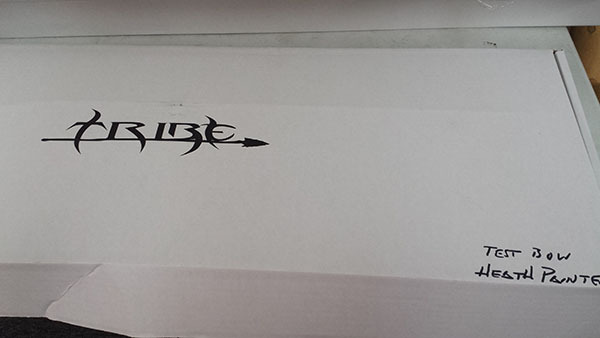 I honestly predict that if this is your first time ever hearing of Tribe Archery, it will be far from the last time that you hear about Tribe Archery. That is a bet I am more than willing to place!